We offer the best Pest Prevention Tips to help eliminate Pests from your home or business. We offer free consultation to all our customers. We specialize in Bed Bug Control and Prevention, Ant Prevention and much more. Let us be your Bed Bug Exterminator you depend on, Give Us A Call Today 1-844-305-8999. 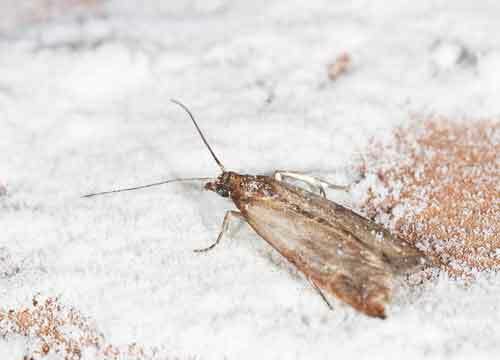 Pests typically come into homes searching for food, shelter and surroundings with the right humidity or temperature. When your house provides any of these conditions, household pests could potentially become a problem. The key to successful control is to do away with one or more of these factors. There are several preventative measures that can be taken to help keep pests at bay, or at least away from your living space. For specific household pests there are both particular and general tips to keep them from invading your home or place of business. Below are a few prevention tips to help keep the most common household pests away. If you need additional Ant Prevention Tips visit our Ant Pest Library Page. 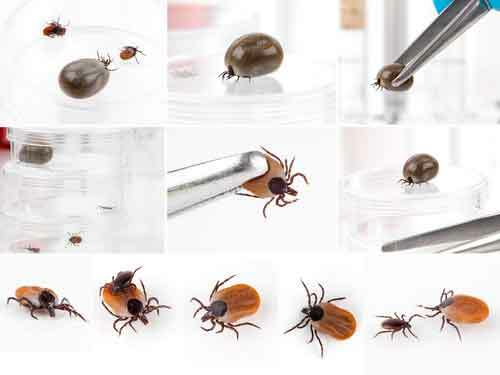 Ticks in New York City NY, Westchester County NY, Rockland County NY and Orange County NY spend periods of quiescence in the leaf litter, burrows, or in nests of their hosts. These types of microhabitats provide adequate moisture and protection against adverse environmental conditions. This helps to ensure that a certain segment of the tick population can withstand a colder than normal winter or survive during dry spells. For the most part, fleas are difficult to prevent in homes where house pets wander outside the home. Be sure that your pets are frequently checked and treated for fleas and be sure that crawl spaces are screened in so that wild animals that may transmit fleas cannot enter. Keep a Tidy Backyard. You can take several measures to reduce your chances of being bitten by a tick. Avoid known or suspected areas of tick infestation, especially during tick season. Walk on cleared trails and avoid brushing up against vegetation and tall grass. 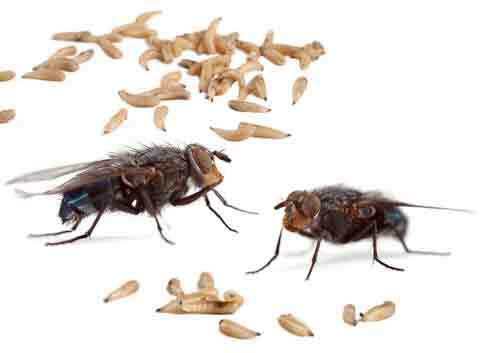 The main tip for avoiding fly infestations is to eliminate places where they might breed. Don’t keep uncovered trash cans under the sink and rinse food containers before you throw them away. It is also important to scoop up and dispose of pet waste. The discovery and removal of the breeding site is usually necessary to eliminate these insects. A bowl of fruit or ripening tomatoes is the common source. A few overlooked sources in houses may include: small quantities of milk, soft drinks, catsup and the like left in the bottoms of bottles, damp dirty dish cloths or floor mops stored away in a closet, home-canned foods that may be fermenting, cider and fruit juices. Check vegetable and fruit storage bins as well to be sure there was nothing overlooked. Fermenting and decaying food items should be discarded. When trying to avoid an infestation of pantry pests, try not to buy more than your family can and will use in between two to four months. In the event you store food for a more extensive amount of time, make sure that all containers and storage boxes are sealed well. Don’t make it a habit to purchase damaged packages. When storing food that is no longer factory sealed, pack it in containers that have tightly fitted lids. It is important to check stored food on a frequent basis for pest infestation and discard anything harboring them quickly. It is recommended to vacuum cabinets rather than using water when trying to remove dust and dirt. Long term storage of flour and meal products often leads to infestation, therefore, such products should be purchased in quantities suitable for early use, unless adequate containers are employed. Although we generally do not recommend treating food storage areas, in particularly difficult situations treating the corners of storage areas can be done with an insecticide, if ‘Indian meal moth’ and ‘Indoor use’ are stated on the label. Treatment should be limited to corners of storage areas, using a paintbrush or spray can. Do not place and food or dishes back in closet until material is entirely dry. The best prevention tip when it comes to roaches is maintaining good sanitation conditions. It is important to clean up spilled food and water quickly, eliminate harborage and pathway areas by sealing cracks and crevices, repair water leaks and inspect incoming foods and packaging for any pests. All insects need food, water and shelter. 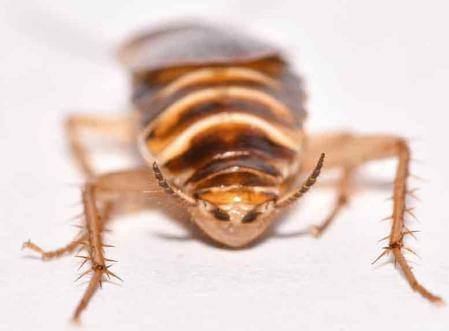 Because cockroaches are often attracted by food residue and garbage, you should wash dishes promptly, seal food containers tightly, clean residue on jars and surfaces, and mop up spills. Repair water leaks and sweating pipes. Remove clutter that provides hiding places. Sanitation is still the best method of cockroach pest management. When trying to prevent spiders from infesting your home it is important to ensure all window and door screens are free of holes and are properly installed. Inspect and caulk all cracks or entry points around the exterior of the home to control both spiders as well as the insects on which they feed from entering the home. If there are signs of spiders already in your home, it is important to vacuum all webs and eggs. 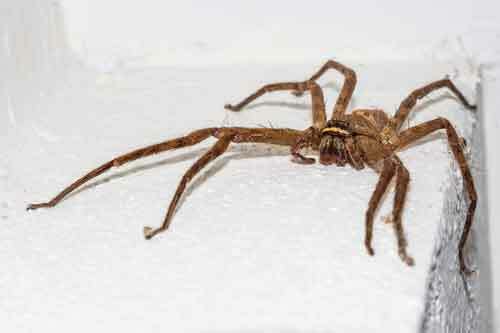 Although most spiders are beneficial, they can become a nuisance when found in the home. Keep spiders out with proper screening and weather stripping. Remove indoor webs with a vacuum, broom or dust mop and discard outdoors. Vacuum up or remove spiders with a dust cloth. It may take some time, but eventually spiders will be controlled. Additionally, control indoor insects on which spiders feed. Before storing clothing for a long period of time, wash or dry clean them, particularly woolens. Maintain cleanliness in closets and drawers. Make sure to vacuum under and behind furniture to prevent the buildup of lint and hair. 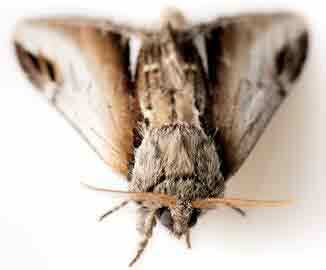 There are several steps one can take to protect clothing and furnishings against damage by clothes moths. a) Establish a regular inspection program of all susceptible items at least once a year. Take all items out of closets and drawers, and vacuum closets and drawers thoroughly to remove lint on which larvae may feed. b) Consider discarding infested item, especially if unimportant. Once damage has occurred it may be difficult if not impossible to repair satisfactorily. c) When making purchases, look for woolens and wool synthetic blends that have been treated by the manufacturer with a moth resistant compound, or avoid woolen products. 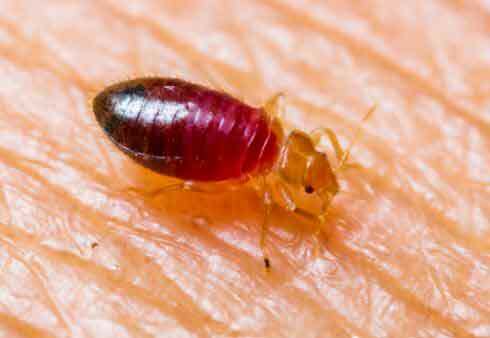 Bed bugs are great hitchhikers. They can move from an infested site to a new home by traveling on furniture, bedding, luggage, boxes, and clothing. Although they typically feed on blood every five to ten days, bed bugs can be quite resilient; they can survive several months to a year without feeding. Check secondhand furniture, beds, and couches for any signs of bed bug infestation before bringing them home. Vacuum frequently to remove any successful hitchhikers. If you need additional Bed Bug Prevention Tips or you notice you have bed bugs, Give Us A Call Today. Dependable Exterminating specializes in treating for Bed Bugs. 1-844-305-8999. 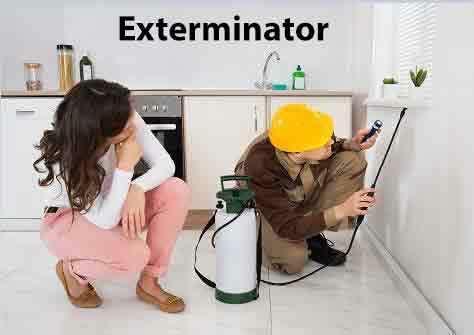 - Clean out all areas that make good homes for pests. Clean areas that collect grease, food scraps or spilling’s that can provide food source. - Trim and clear out excessive foliage from around the outside of the foundations of the home. High grass, unkempt bushes and trees provide excellent hiding places for insects. - Remove unnecessary storage boxes from the attic or basement. Again, areas like these have the potential for great hiding places. - In the event flour and grain pests are your particular problem, make sure that you first locate where they are coming from and remove the infested material. Go through cereal boxes, spices, flour, beans and dry pet food to check for infestations. - Store dried foods in tightly sealed containers made of glass or plastic and avoid sacks, baggies and cardboard boxes. Cleanliness can’t ensure that a home will remain pest free, but good housekeeping does go a long way in preventing problems before they become infestations!